Eighty-six police officers and courthouse staff members were detained across several Turkish provinces on Friday due to alleged use of a smart phone application called ByLock and links to the Gülen movement, which the Turkish government blames for a failed coup last July, the state-run Anadolu news agency reported. 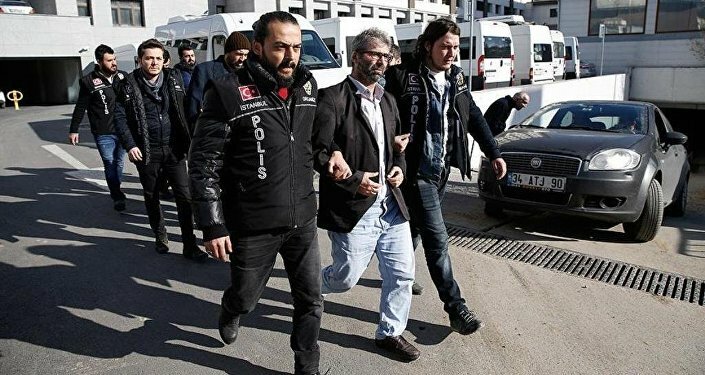 According to the report, 37 police officers were detained in nine provinces as part of an operation launched in Gaziantep on Friday. In a parallel operation directed from Adana, 36 police officers were detained in five provinces. In the meantime, 13 people who work at the İstanbul Courthouse were detained on Friday over alleged Gülen movement links. More than 123,000 people have lost their jobs, in excess of 88,000 detained and over 42,000 have been arrested since the coup attempt. Arrestees include journalists, judges, prosecutors, police and military officers, academics, governors and even a comedian.